In addition to the Cleveland Pops Orchestra, Carl Topilow has served as conductor and Director of the Orchestral Program at the Cleveland Institute of Music for 35 years, and recently completed his 37th season as Music Director and Conductor of the National Repertory Orchestra, a summer festival held in Colorado. 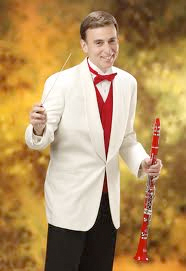 In 2008, he was appointed Music Director and Conductor of the Sandusky-based Firelands Symphony Orchestra. I asked Carl Topilow to talk a little bit about what’s in store for the rest of the Cleveland Pops Orchestra’s season. Published on ClevelandClassical.com October 20, 2015.